It seems like we do a ton of horror related recipes. This isn’t too far from the truth. We can’t help that so many great horror films are coming out. However, this will be the last horror recipe for a while. 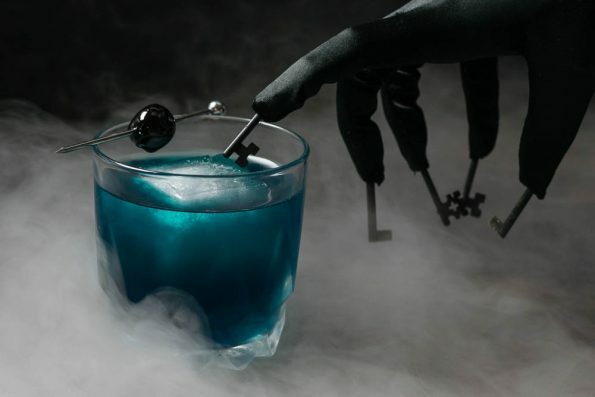 That being said, our final recipe of 2017 is inspired by Insidious: The Last Key. 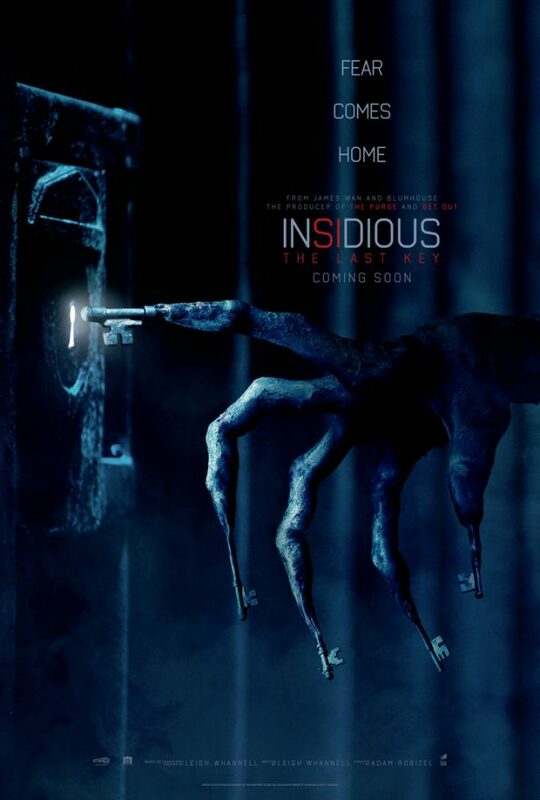 The Insidious franchise is one of our favorites. Basically, anything James Wan produces is a winner with us. 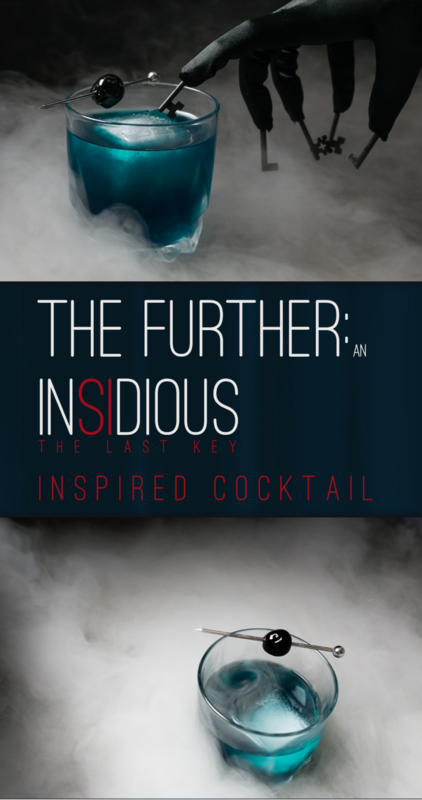 Instead of going for a food item, we decided to create The Further, a cocktail named directly for its inspiration from the film. We were super stoked to finally do a recipe for the Insidious franchise. Not only that, but the film of the series in which Lin Shaye is the lead. Lin Shaye has been in so many horror films, it is great seeing her in the spotlight! This cocktail was inspired by the visuals of The Further. 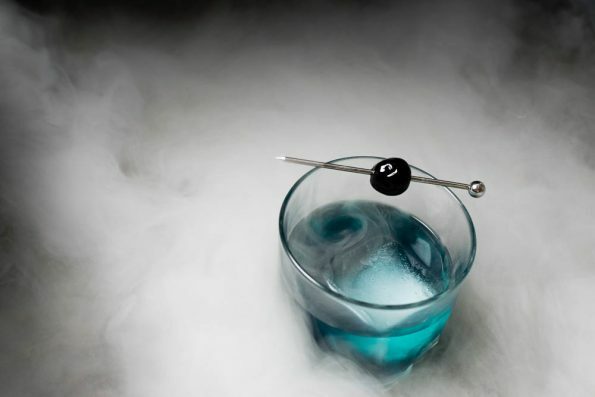 Smoky and dark, we wanted this cocktail to not only taste a little smoky (thanks to the Ancho Reyes) but also look it. Want to see Insidious: The Last Key? Here is your chance! We are giving away 3 pairs of advanced screening tickets for a sneak preview! The showing will be held at Harkins Tempe Marketplace on Wednesday, January 3rd. The screening starts at 7 pm and the winners should arrive at 6:15 in order to guarantee their seating. Winners will be selected on Tuesday, January 2nd. Good luck! Combine all ingredients in a cocktail mixing glass over ice. Strain into tumbler filled with ice. *The Geeks received no compensation to facilitate this write-up; opinions are wholly our own. Advanced screening passes provided by Fingerpaint Marketing. View our Disclosure Policy for more info.